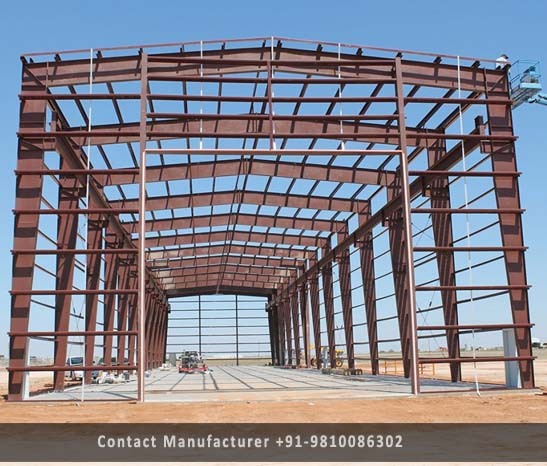 Pre Engineered Steel Building Manufacturer in Delhi, Pre Engineered Steel Building Supplier in Delhi, Pre Engineered Steel Building in Delhi. Pre Engineered Steel Buildings is widely known by the renowned client because of their attributes like long working life and high quality. These PESB are checked strongly on certain quality stages before final delivery time. The offered range is designed and made by using high-quality raw material and latest technology under the guidance of professionals. These steel Buildings can be avail with the different specifications for valuable clients in Delhi Market.